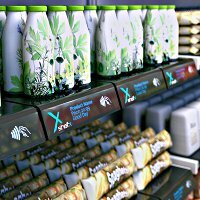 “We are taking the shopper back to a time when shopping was simple,” says the founder of a start-up which is using NFC and shelf-based weighing scales to enable customers to self serve in large stores. A US-based start-up has unveiled a new concept that aims to use the latest technology to make the shopping experience more like the way it used to be. ShelfX uses ‘smart shelves’ equipped with sensitive scales and NFC technology. Each shelf stores details of the items available, their weight and price so that, when an item is picked up, it can be detected and automatically added to the customer’s bill. When a shopper approaches the shelf with a ShelfX card or NFC phone, the customer can be greeted by name, provided with product details and offered discounts and additional suggestions based on their customer profile. When they have completed their shopping, payment can also be processed automatically.